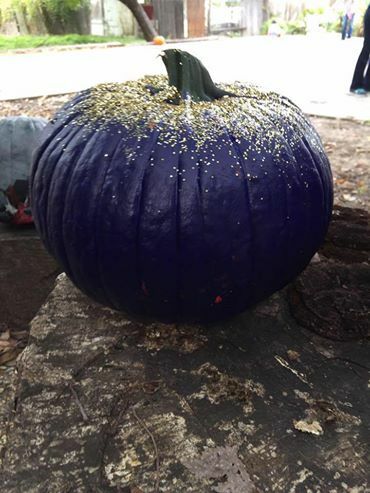 First off- THANK YOU to everyone who came out to Glam Your Gourd 2016! We had a blast! The pumpkin painting station was a hit! Doula Barb's second set of twins came to visit all the way from Stephenville! Budding young artists at work here! Funky Town Donuts here in Fort Worth donated a $50 gift certificate for one lucky winner! Second, a huge shout out goes to Funky Town Donuts! They donated a $50 Gift Certificate to one lucky winner! Go see them on 8th Ave. in Fort Worth- tell them FWDA sent you. Congratulations, Lauren!! Enjoy every bite!! And to everyone else, thank you for coming out to Glam Your Gourd 2016. It was great seeing each and every one of your faces and we can't wait to do it again next year!